This lush Lebanese Chicken is wonderfully easy to make! Bursting full of flavour, it can be cooked on a Griddle pan or on the barbecue. It goes wonderfully with other Lebanese accompaniments such as Tabbouleh and Baba Ganoush. I will add the recipes at a later date! Trim any fatty bits off the chicken. Combine all of the remaining ingredients. Add the chicken and mix really well. Cover and leave in the fridge overnight. Barbecue, brushing with remaining marinade until nicely browned and cooked through. Serve with a nice Lebanese salad such as Tabbouleh! A barbecue is no excuse to be boring!! 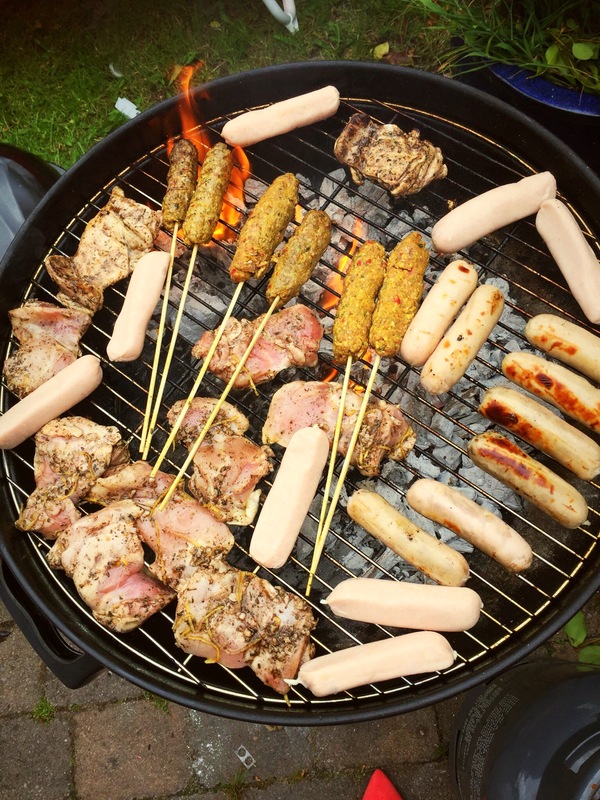 Introducing some super tasty barbecue treats makes it more exciting. Mix together two teaspoons of lemon with the lamb mince. In a food processor blend together the oil, garlic, ginger, chilli’s, pepper corns, cumin, coriander powder, lemon juice, turmeric and salt until it forms a paste. Stir the paste and coriander together with the mince until it is thoroughly combined. 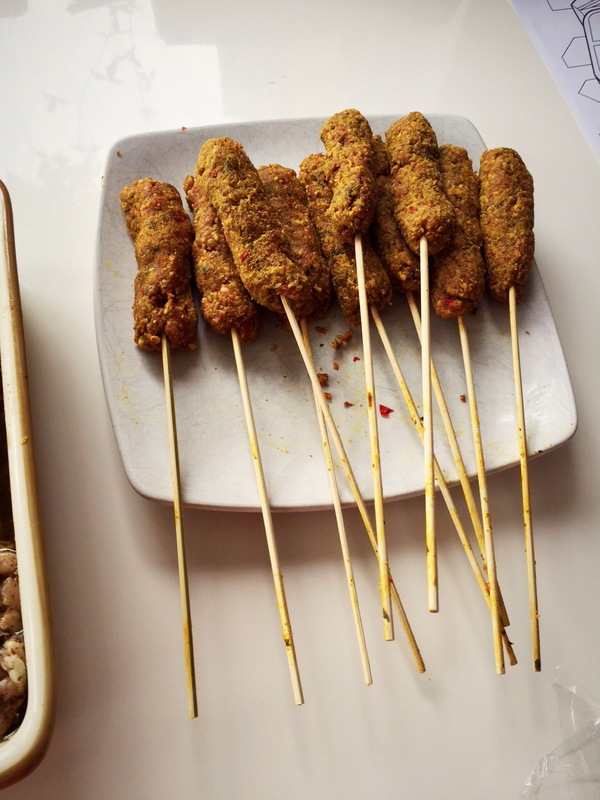 Make the meat into sausage shapes and thread the skewer through the middle. Brush with oil and cook for 4-5 mins each side or until cooked through. Serve with Greek yoghurt with some mint leaves stirred through. Lush! !